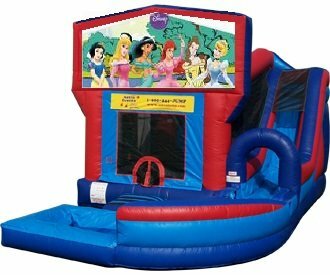 This awesome Jump, Climb, Slide and Splash combo unit was specially built with heavy duty non slip material on the entrance ramp and on the entire jumping mattress to give wet kids a better footing. The bonus basketball hoop inside adds even more sport. Everyone can slam dunk while they're taking a 'break' from bouncing, climbing, sliding 32' and splashing down! The slip 'n splash can be removed so this Combo Castle can be used dry as well!